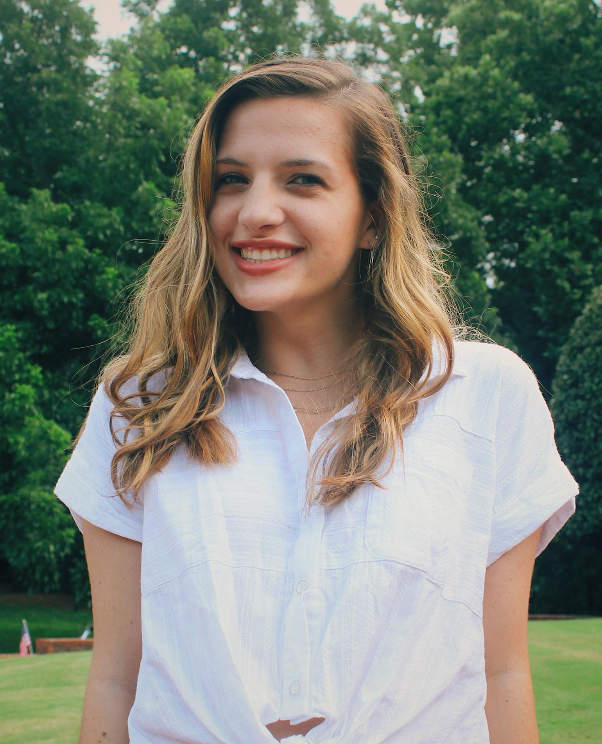 Caroline is a Human Resources Management Major and a Creative Writing Minor. She is passionate about dogs and vines. Her goals in life include writing a novel and traveling to Ireland. Fun fact- Caroline took four years of Latin in high school for fun. She is also involved in SHRM and the Management and Marketing club on campus. She is super excited about serving Kappa Delta for the upcoming year. 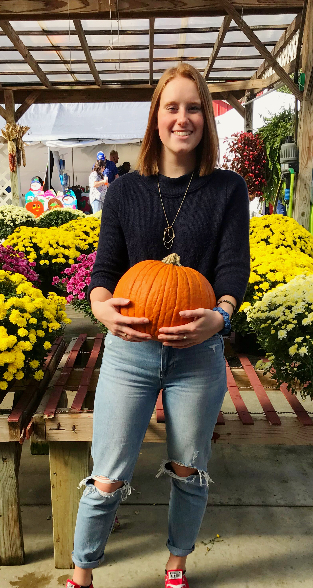 Grace is a senior Public Community Health major and is super excited to serve Delta Iota as Vice President membership education. She is so excited to mentor the all of new members. Some of her favorite activities include playing with dogs, watching Law and Order, and spending quality time with sisters and her roomates. She is super excited to see what the next two semesters in Kappa Delta bring. Regan Neal is a sophomore Business Administration major with a minor in Organizational Communications. 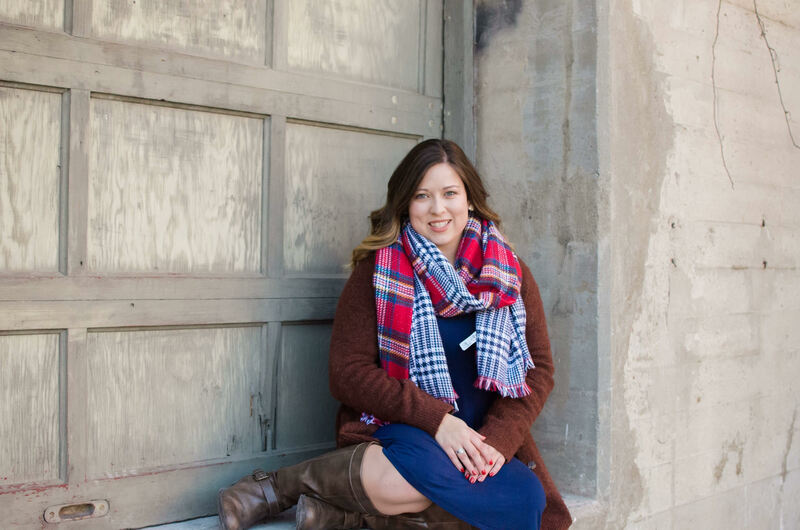 She is pursuing a career as an event planner, and absolutely loves what she does. Her favorite part about this career is not actually planning the events, but it is creating a beautiful environment that encourages people to love and be present with one another. She can not wait to create that for her sisters, and for anyone hoping to join greek life, as vice president membership. Kaitlyn is a Junior social work major from Paducah, Kentucky. She loves to spend time with her friends and family and jumps at any opportunity to get to know more people! She’s very outgoing and likes to think she makes good company. 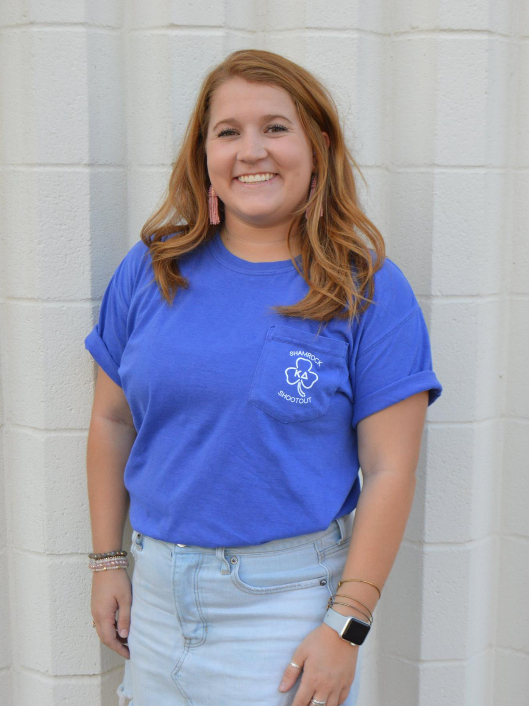 She is very passionate about many things including PCAA, Girl Scouts, her sisters, and corn dogs! She is very excited to serve the next two semesters as Delta Iota’s Vice President of Community Service and create more friendships within Kappa Delta! Savannah is a junior Public Relations major with a minor in Non-Profit Leadership. She enjoys playing with dogs, driving with the windows down, and spending time with her friends and family. 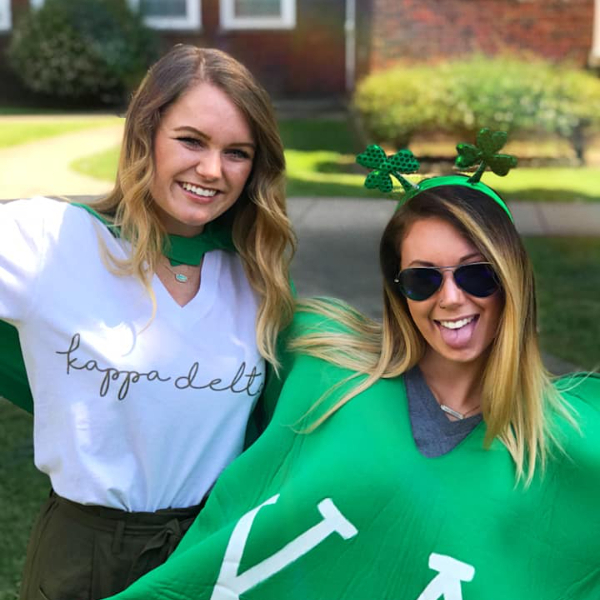 She loves Kappa Delta and can not wait to fulfill this position. Sydney is a sophomore Nursing major from Martin, Tennessee. 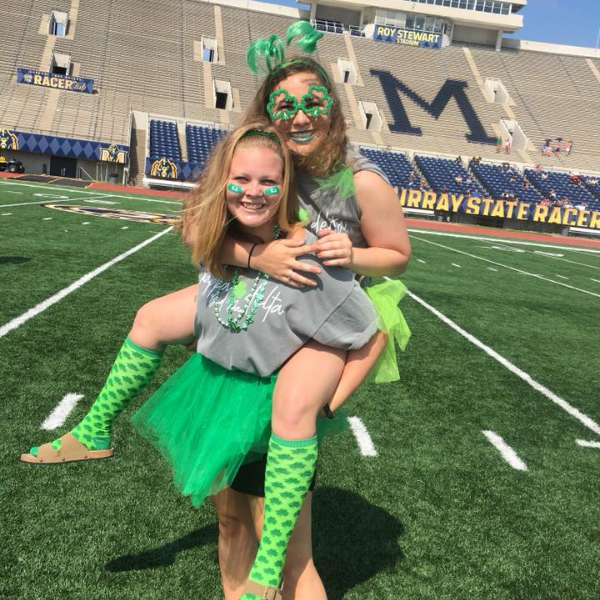 She is a member of the Iota Class of the Delta Iota chapter here at Murray State. 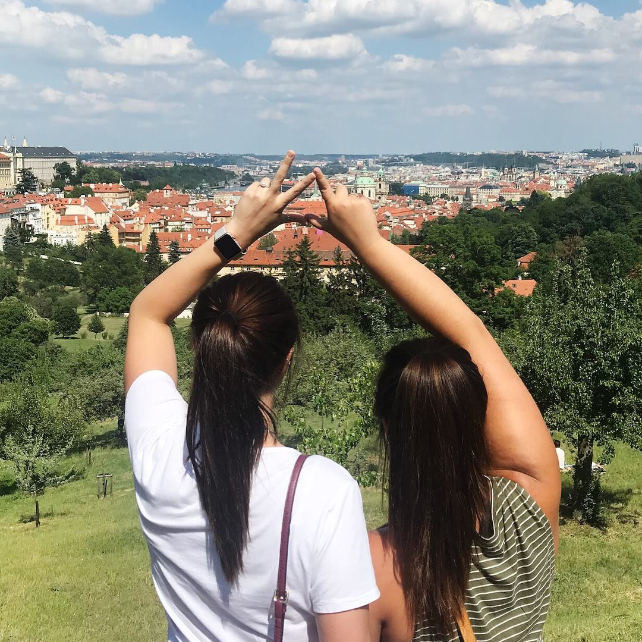 She absolutely loves spending time with her family, friends, and sisters and is always looking for something to make her more active within the chapter. Sydney enjoys the outdoors and paddling around in her pink kayak. She loves conversation and problem solving so never be afraid to reach out! Cassie is a junior studying dietetics. She loves spending time with sisters but also loves her alone time. She is always open to talk and will no hesitate to help sister out. If you have any food related questions, she would love to talk. Cassie is very excited about what is to come for the Delta Iota chapter of Kappa Delta and is honored to be a member of this council. Sydney is a Junior exercise science major, pre-physical therapy focus. She is a resident advisor in Springer Residential college. In her free time she enjoys riding her horse Mary Poppins and competing in dressage. Sydney is so excited to be continuing VP-Finance in hers second term. Autumn is a junior nursing major. She loves spending time with sisters and meeting new people. Her favorite food is mashed potatoes! A fun fact about Autumn is that her parents named her before even knowing she had red hair! On the weekends she likes driving to LBL with her friends and going hiking. 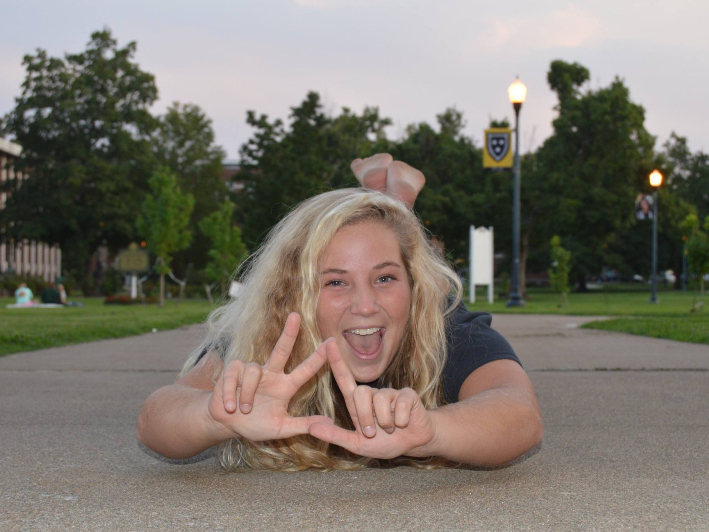 Her favorite KD memory so far is running home to all of her sisters after spending the week as a gamma chi! She says that week made her realize that there was no other chapter she would want to be a part of. Autumn is super excited to see what this next year on council has in store for her!